The Slender-tailed Meerkat is found in wide distribution in southern Africa. Although they are excellent diggers, Meerkats usually live in burrows dug by other animals. They live in large groups of up to 30 individuals called a mob, gang or clan. Meerkats live in a matriarchal society, which means that the dominant female is the leader of the mob. While most mob members forage, some act as lookout sentries, especially for hawks and other aerial predators. Sentries stand on their hind legs at vantage points (e.g. mounds, rocks and bushes) so they can get a better view of approaching predators. 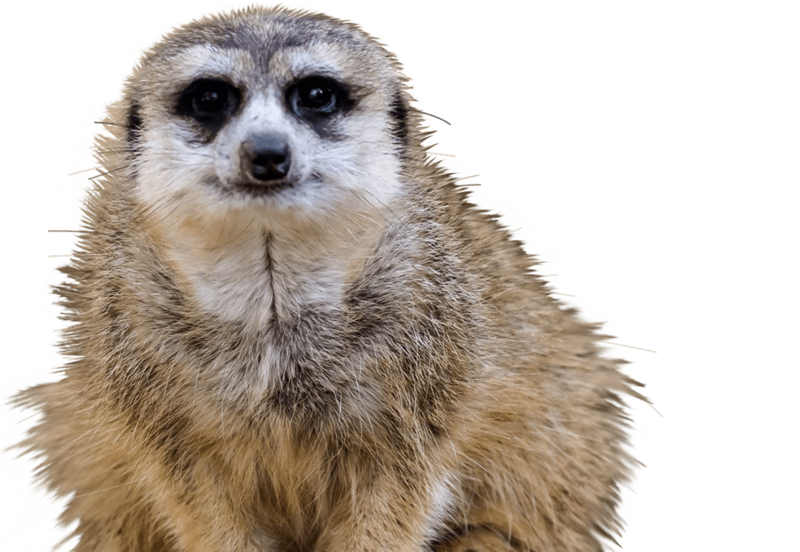 The National Zoo & Aquarium is home to 21 Meerkats.